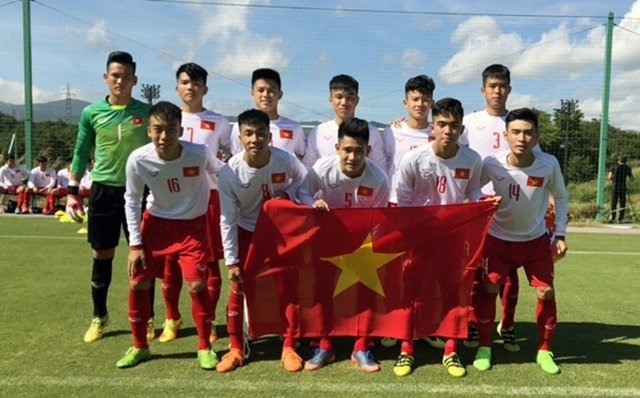 Việt Nam’s U17 boy’s football team lost to host Japan 4-1 in Jenesys 2018 international tournament held in Japan yesterday. Though the Vietnamese started well, it was Japan who opened the scoring, with Nishino Taiyo firing home in the 18th minute. In the last minutes of the first half, Japan score twice more, giving them a comfortable 3-0 lead at the break. In second half, Việt Nam tried to fight back, and Hữu Nam took his chance to cut the gap to 3-1. However, in the 73rd minute, Ayukawa Shun scored for Japan to end the match as a contest. Việt Nam will meet Thailand today to compete for bronze medal. Meanwhile, Japan will face Shoshi Highschool for gold. Jenesys 2018 is an Asian-Pacific youth sports exchange programme to promote mutual understanding and belief between Japan and Asian-Pacific nations.